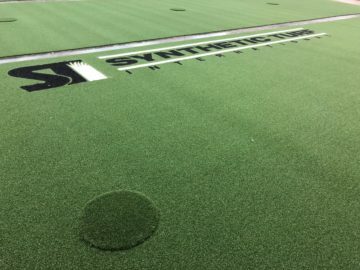 Synthetic Turf International renews partnership with the World Long Drive Championship and the Golf Channel for 2019. 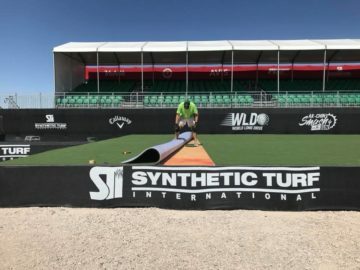 Synthetic Turf International (STI) announces the renewal of their partnership with the Golf Channel and the World Long Drive Championship for 2019. This is the third consecutive year that STI will be the preferred synthetic turf supplier for six televised Long Drive events. 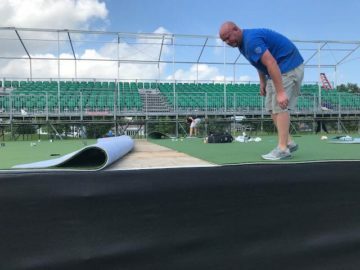 STI will provide Pro Ball Turf for the tee deck, with 1′ (diameter) EZTee discs for the players to tee up their golf balls. STI will also be providing the same setup for a practice tee area at two of the events on the schedule. The Volvik World Long Drive Championship has been around since 1976. The winner is presented with a Championship Belt in each of three divisions (Open, Master’s and Women’s). 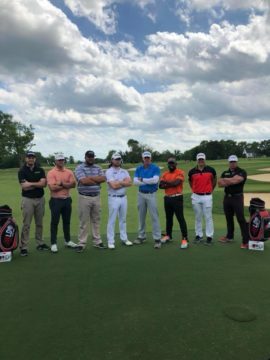 The World Long Drive Tour features hitters from all over the world competing in events around the US. STI began working with the World Long Drive and the Golf Channel in 2017 and provided turf for a handful of events through the years. 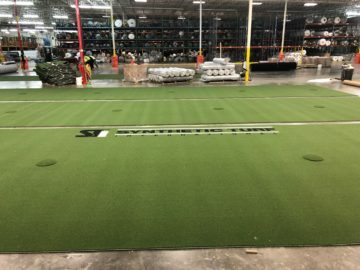 STI provided a synthetic turf putting green for the Golf Channel for their Morning Drive set at the PGA Merchandise Show in each of the last four years, and furthermore has supplied turf for a number of equipment manufacturers at the PGA Show, as well. The first event is the AK-CHIN Smash in the Sun in Maricopa, Arizona April 14 through the 16. The live televised event is April 16 on the Golf Channel. There is a fifth, as yet unscheduled, event July 19-24.